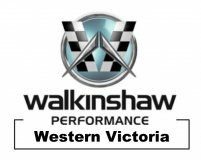 WALKINSHAW PERFORMANCE DRIVELINE WARRANTY SUPERCHARGER AND POWER PACKS. (a) This warranty (“Warranty”) applies to the Components of the Vehicle in which the WP230 Supercharger was installed, such Vehicle, Components and WP230 Supercharger which were purchased by the Customer on the contract start date specified in the [Customer Contract/Declaration] (“Contract Date”), either directly from WP or from a WP licensed installer (being, the installer described on the Customer Contract/Declaration). (b) This Warranty is provided by WP, and accepted by the Customer, for valuable consideration, including the payment/s made by the Customer to WP or the WP licensed installer on or about the Contract Date. For a vehicle to be eligible for the driveline warranty it must still be under the manufacturer’s new vehicle warranty.